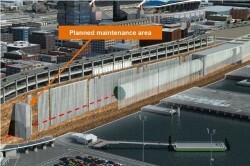 The troubled Alaska Way Viaduct Replacement Tunnel TBM known as Bertha has reached a milestone in its repair. 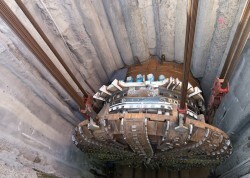 The front cutterhead has been repaired, and has been lowered back into the access shaft to be re-attached to the TBM. 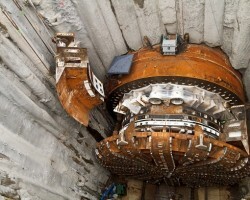 The time-lapse video below shows the cutterhead being lowered down into the access shaft. 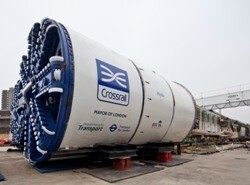 What caught my eye was the number of steel cables on the crane blocks…that’s a heavy lift!